Love to shop but don’t have the time? Hate to shop but love to look good? Bombfell, a monthly subscription box filled with hand-picked clothes, is here to help. 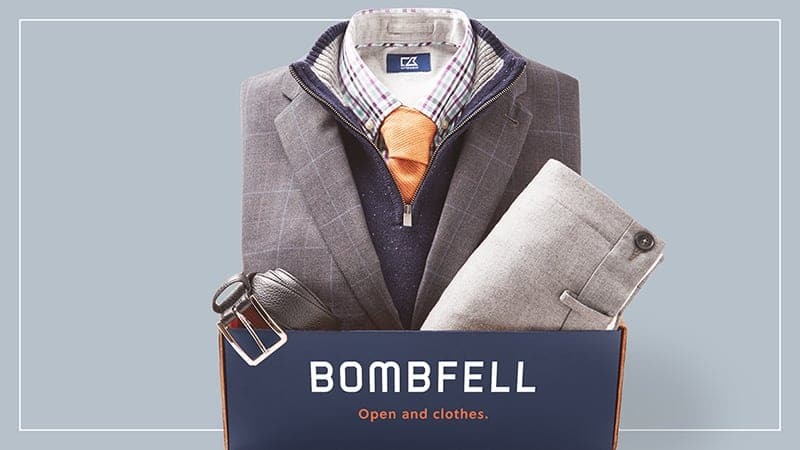 With the help of a unique customer profile that you build yourself, Bombfell’s professional stylists carefully select clothes you want and need, creating a look that is delivered to your doorstep each month. 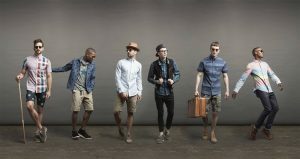 A smart way to try new looks and trends without having to spend hours in uncomfortable fitting rooms, Bombfell is changing the way men shop. 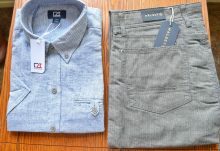 Specializing in professional clothes for men that are tailored for awesome office looks, this subscription box is the best way to keep your closet updated, and at an affordable, no-strings-attached price. Whether you tell your stylist what you need or let them surprise you, each monthly box is prepared for you to preview, making sure that nothing ships that you are not interested in. And it is this unique step is precisely what keeps professional men coming back to Bombfell month after month. Use your monthly $20 styling fee to help pay for those items. Ship back what you don’t love and don’t look back. Shipping is free both ways! All of the benefits of working with a personal shopper with none of the commitment, Bombfell brings your dream fitting room straight to your front door each month. Check out Bombfell’s Instagram account to get a taste of the types of clothes and brands they send in your box! Subscribing to Bombfell is simple. Each month, you will pay a $20 styling fee, which covers your personal stylist working with you to select items to try on. On average, each piece sent in a Bombfell box costs $89, although there is great variation between specific items. 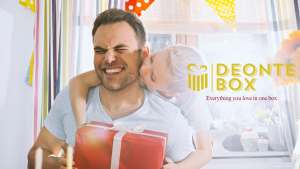 Each month’s Bombfell box typically takes 2 to 10 business days to arrive at your door once its shipped. Upon delivery, you have 7 days to try on your clothes, keeping what you love and sending back what you don’t. Any items returned after the 7 day period incur a $10 restocking fee. Currently Bombfell only ships within the United States. How would you rate Bombfell ?